Gulf producers may find it a struggle to keep their share of the global oil market as Russia is boosting crude exports to Asia after upping supplies by 25 percent to China, Japan and South Korea in 2014. 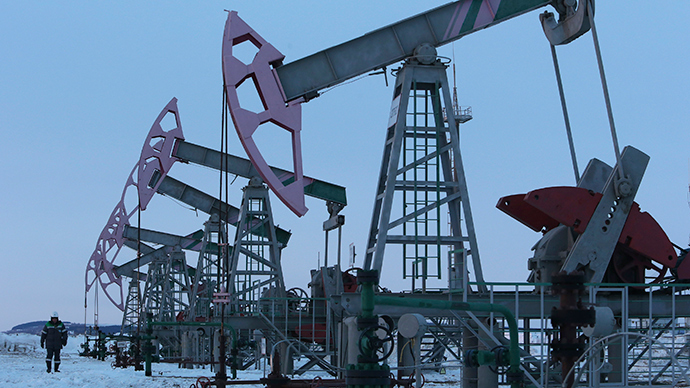 Russia is the world’s third largest oil producer and has increased oil supplies to Asia to 51 million metric tons in 2014. The share of the Asian market rose to 8.7 percent last year from 7.2 percent in 2013, Bloomberg reports citing government data. Total imports by China, Japan and South Korea, the region’s largest oil consumers, reached 592 million tons in 2014. The amount supplied by Saudi Arabia, in turn, slid to 142 million tons from 146 million in 2013. Qatar’s share of the Asian market reduced by 7.4 percent to about 30 million tons and Kuwait fell to 7 percent from 7.2 percent at 41 million tons. In an attempt to protect its share in the oil market, Saudi Arabia has given Asian countries a record discount on oil. The main oil producers are focusing their attention on Asia as European demand weakens and the shale boom in the US makes it more self-sufficient in terms of oil consumption. According to the International Energy Agency, Asia is expected to replace both Americas as the biggest oil consumer in 2015. As for Russia, the increase in oil supplies to Asia helps the country overcome the difficulties caused by falling energy prices and Western sanctions. In 2009 Russia launched the Eastern Siberia–Pacific Ocean oil pipeline to boost crude shipments to Asia. Supplies via the pipeline averaged about 2 million tons a month in 2014. In 2013 Russia’s Rosneft, the world’s biggest publicly traded oil company, and China’s National Petroleum Corporation signed an agreement to ship 325 million tons of Russian oil to China over 25 years. Rosneft plans to boost shipments to the east by 30 percent to 32 million tons in 2015 while exports to China are expected to increase by 27 percent to 29 million tons.